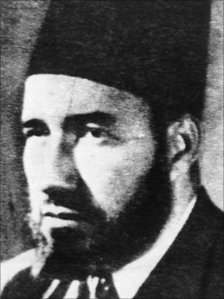 When Egyptian school teacher Hassan al-Banna founded the Muslim Brotherhood in 1928 to teach his fellow Egyptians how to re-discover their Muslim identity and fight British control, he probably never thought that 80 years later, his organisation would have the global reach it has today. Al-Banna was assassinated in 1949 by government agents in retaliation for members of his group killing the prime minister. A few years later, a failed assassination attempt on then President Gamal Abdel Nasser provoked a major crackdown on the organisation, forcing many of its members to flee Egypt. Some went to the Gulf, others fled to the West. The aims of the Muslim Brotherhood are well-known: they want to instate an Islamic system of government. Despite being outlawed in Egypt for the best part of its history, and its members being regularly thrown in jail, the Muslim Brotherhood has flourished and has spawned many like-minded groups in Muslim majority countries and beyond. 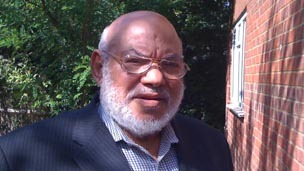 "[In] every European country you can find Muslim Brotherhood," says Ibrahim Mounir, a senior member of the group, who has spent many years in Egyptian prisons, but now lives in exile in London. Unlike the Egyptian counterpart, the Muslim Brotherhood in the West has no headquarters, and no documented membership. "In the last 30 years, there have been dozens of groups found in the United States that have been derivative of the Muslim Brotherhood," says Steve Emerson, an American journalist who has spent years monitoring political Islam in the US. "The Muslim Brotherhood does not exist in a corporate way, it was always formed under false cover or under different organisations," he adds. However, it is difficult to find anyone prepared to acknowledge links to the Muslim Brotherhood in the US today. Since 9/11, the group's ideology and its possible links to militant jihad have come under greater scrutiny. Perhaps more than anything else, its open support for the militant Palestinian group, Hamas, which is designated as a terrorist organisation by Washington, explains why it is viewed with suspicion and alarm, and its members refused entry to the US. One such man is Kamal Helbawy, a senior member of the Muslim Brotherhood, now based in London, who is quite candid about his support for jihad in what he regards as "occupied countries", including Afghanistan - where both the US and UK have troops. But Mr Helbawy says this does not amount to encouraging European or American Muslims to take up arms against their governments. His advice to them is to use whatever democratic means available to them to campaign against such policies. Global jihad and foreign policy aside, Mr Ibrahim says the Muslim Brotherhood wants "the right [for Muslims in the West] to live according to their religion." Critics argue that given the very conservative nature of the Muslim Brotherhood's interpretation of Islamic tradition, the Muslim lifestyle it encourages may be at odds with secular liberal values of the West. Such environments, many fear, could turn into a fertile ground for anti-Western sentiments, which in some cases have led to violence. An American man, who did not want to be identified, described what happened at his local mosque in a small community in Chicago after it was taken over by a group loyal to the Muslim Brotherhood. "The imam spoke in favour of a suicide bomber in one lecture. "The hijab or the cover was not known at all before [in our community]. Now there's so much pressure on Arab women that whether they believe in it or not, they all have it," he said. He said worshippers are repeatedly told not to celebrate Halloween or the Fourth of July, only the two Islamic holidays. "How could you integrate in society if you do that?" he asks. Dr Mohamed Zuhdi Jasser, an American Muslim, who campaigns against political Islam, sees little difference between al-Qaeda and the Muslim Brotherhood. "Political Islam, [even] non-violent political Islam, that teaches supremacy, that teaches Western society is godless and corrupt, is the slippery slope towards radicalism," he says. "The only difference between al-Qaeda and the Brotherhood today is that one preaches violence to get there and one preaches dawa [proselytising] and evangelism to democratically replace our constitution with the Koran." Ian Jonson, the author of A Mosque in Munich, about the Muslim Brotherhood's westward expansion, says it is in everyone's interest - including politicians and the wider Muslim community - to be cautious of the Muslim Brotherhood. "They present themselves as very modern, as people who speak the language of politics, human rights, and diversity." But, on the other hand, Mr Johnson says politicians should be aware that they do not represent all Muslims. "They represent a very specific, historically bound view of Islam that originated in specific place and time. They are not moderates. "They are ultimately fundamentalists at heart." Magdi Abdelhadi's two-part documentary, The Brotherhood, can be heard on the Monday Documentary of the BBC World Service radio.